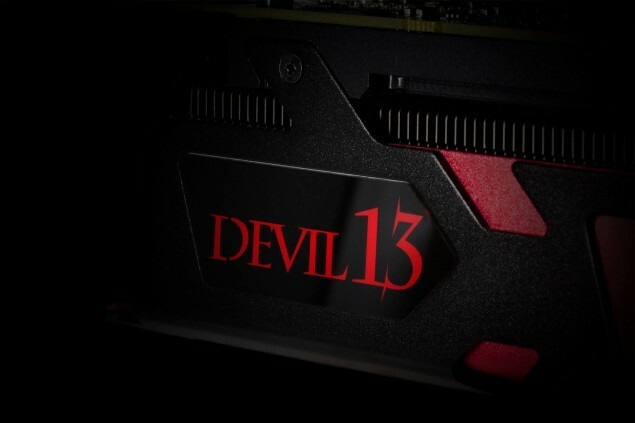 A few days ago, PowerColor teased their upcoming Radeon R9 295X2 Devil13 which would be the successor to the previous Devil 13 card that featured two Tahiti cores. 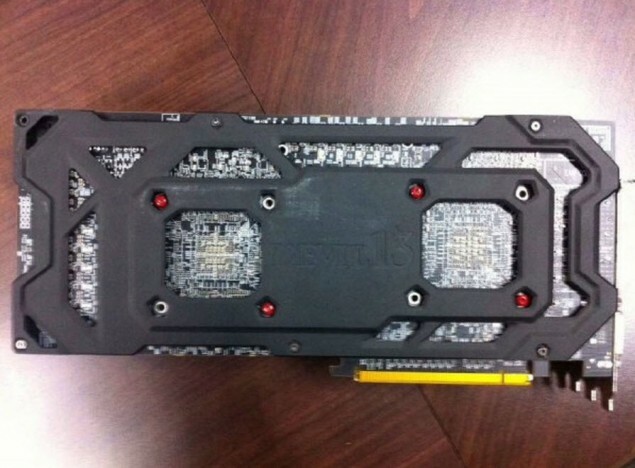 The card will probably be the first custom cooled R9 295X2 based card since we have only seen reference variants of AMD’s flagship dual-chip card in the market. 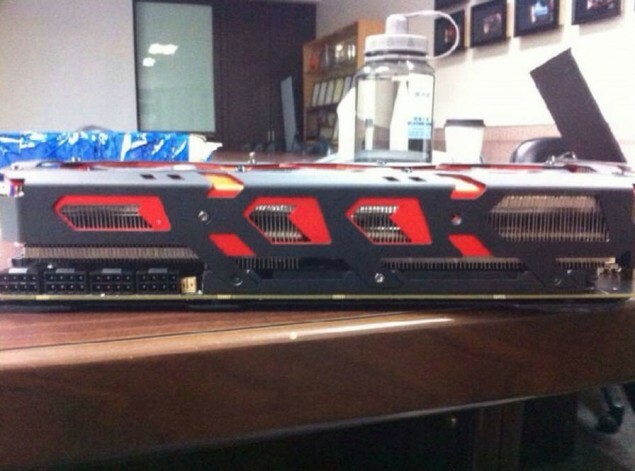 Now I know this may sound crazy but Chiphell Forums actually managed to get pictures of the card prior to its launch and from what I am currently looking at, the card is a total beast in terms of design and performance. PowerColor’s Radeon R9 295X2 Devil 13 will feature a custom designed PCB which we can’t see at the moment but its really beefy in terms of design. Before moving into the design, we will do a round-up of the specifications. The PowerColor Radeon R9 295X2 Devil 13 which is also codenamed ‘Vesuvius’ (Official AMD naming) features two Hawaii XT cores with GCN 1.1 architecture. 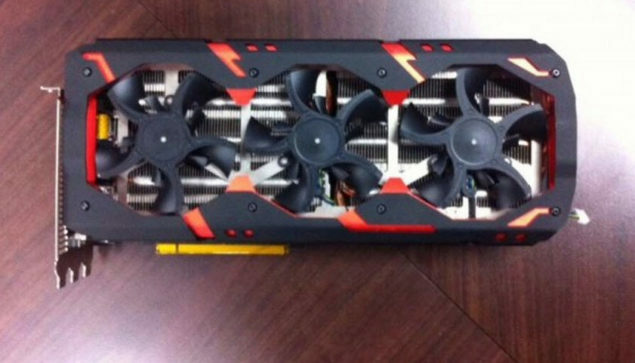 With two Hawaii XT GPUs on the same board, the specifications equate to 2816 x 2 stream processors, 176 x 2 texture mapping units, 64 x 2 Raster Operators and 4 GB of GDDR5 memory on each chip which equates to a total of 8 GB GDDR5 memory. Double these and you get an impressive 5632 stream processors, 352 TMUs and 128 ROPs for an unprecedented amount of gaming and compute performance. The 8 GB GDDR5 memory runs across a 512-Bit X 2 memory bus that is clocked at 1250 MHz effective clock speed (5.00 GHz effective clock speed). 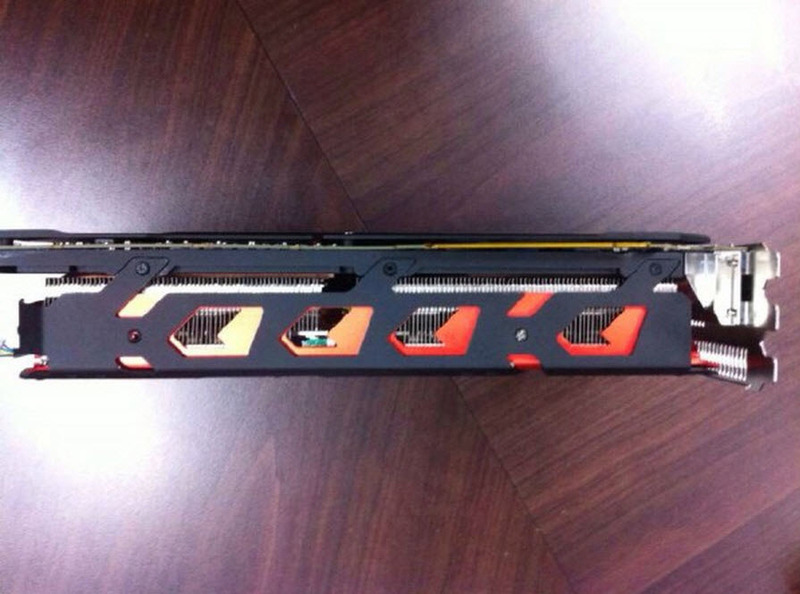 This pumps out a total of 640 GB/s memory bandwidth. Core clocks are not mentioned but i suspect an insane factory overclock which will still allow users to crank some high numbers on the card. The design featured on this iteration of Devil 13 is completely new compared to the previous Devil 13 cards. Featuring a massive triple slot cooler which is longer in length and much more wider compared to the stock Radeon R9 295X2. The R9 295X2 Devil 13 features a triple slot, triple fan design with the fans measuring an massive 100mm PWM controlled fans that circulate air through a gigantic and dense aluminum fin array which features multiple heatpipes. 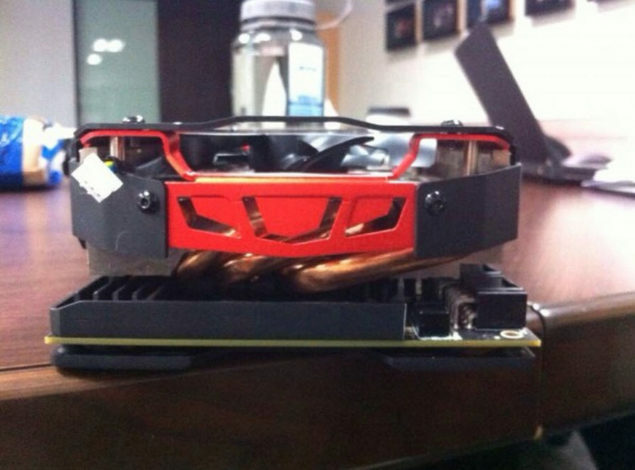 This shroud is huge with strikes of red and black all around the surface while a large Devil 13 backplate supports the card from behind cooling the additional power components. The backplate is a nice touch to the card. Power requirements is where PowerColor completely goes off the charts by imposing a requirement four 8-Pin power connectors on the PCB. You heard that right, that’s the most insane power design ever built for a card giving an idea of its PCB design and power hungry nature. We know that the dual 8-Pin powered reference R9 295X2 has a TDP of 500W with dual 8-Pin connectors but we can imagine atleast a 675W requirement for this card alone. PowerColor’s Radeon R9 295X2 Devil 13 is insane but a dream card for overclockers with the beefy PCB design. Pricing of this card would be much greater than the reference Radeon R9 295X2 and we can look at a $1799 – $1999 US price range. We will let you know if we have more information of the PowerColor Vesuvius Devil 13 graphics card. Price $999 US $1499 US $1999 US?